Not ideally the first thing one would picture in mind upon hearing the words Honey Strip, but all in all this product is rather fascinating. 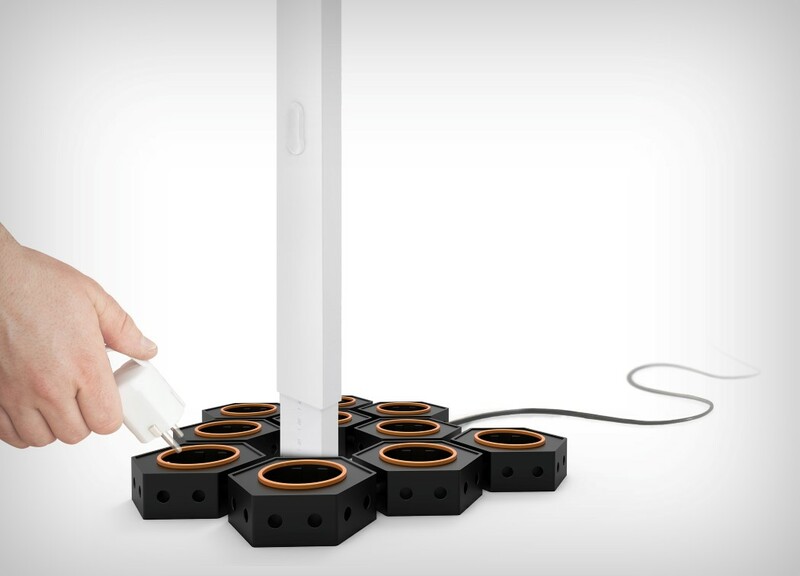 Using the Honeycomb structure’s spatial efficiency along with electricals to create a modular power strip, the Honey Strip lets you plug individual points into one another to create an extension board that not only fits your space requirements, but also looks like an interesting work of art rather than one of those ugly store-bought power strips. 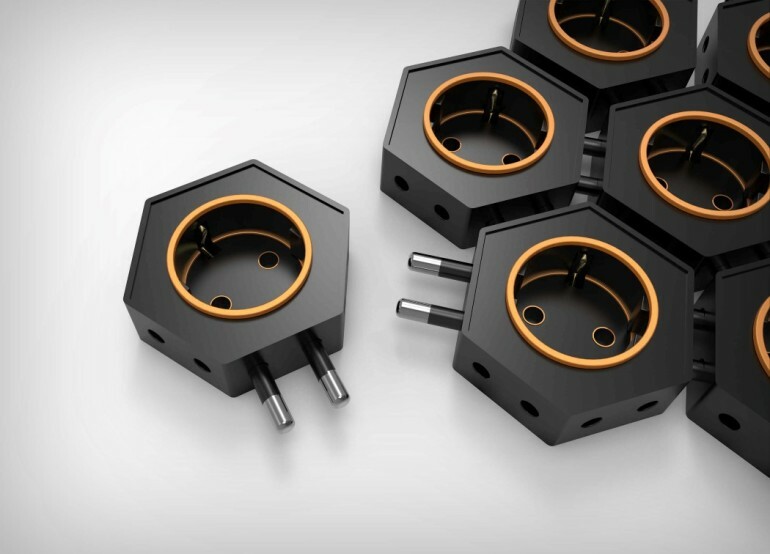 Made of independent hexagonal units that can plug into one another, and also let you plug your gadgets, appliances into it, the Honey Strip is infinitely customizable. 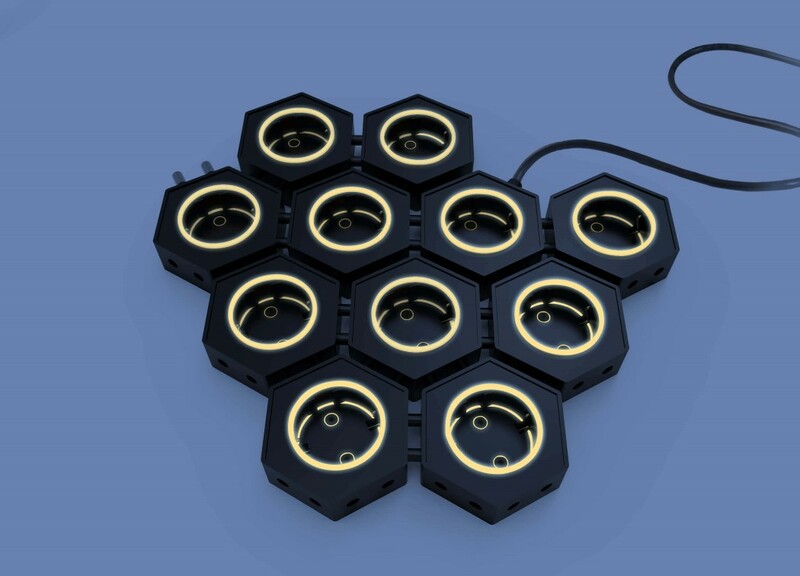 It even comes with these halos around the plug-points that give off a warm light when on, allowing it to serve as a patterned ambient light too, aside from fulfilling your power needs!